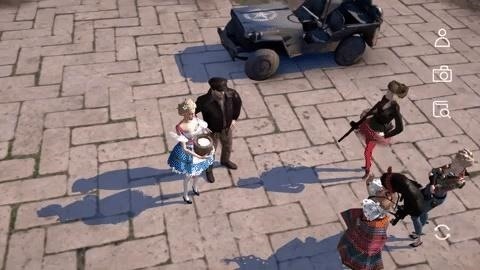 Now available in the Apple App Store and on Google Play, the Welcome to Marwen AR app uses ARKit and ARCore to display a scaled-down recreation of a scene from the film, complete with animated 3D characters, and highly-detailed set pieces. Based on a true story, the premise of the film makes it the ideal pairing for such an augmented reality experience. The main character, an artist played by Steve Carrell, is the victim of a violent attack that robs him of his memories. The incident leads him to create the imaginary world of Marwen, where he casts himself as a war hero, and builds an art installation based on it. The AR app gives users the ability to view and review the scene from a number of angles as the dialogue and action unfold. 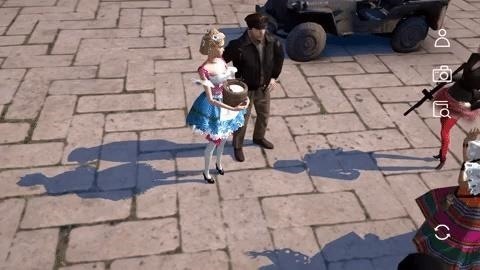 Users can also pause the action to take a snapshot of the scene in 16:9 or 1:1 aspect ratios (as Carrell's character does with his miniature model of Marwen in the movie). The app's explore mode enables viewers to select characters and learn more about them. 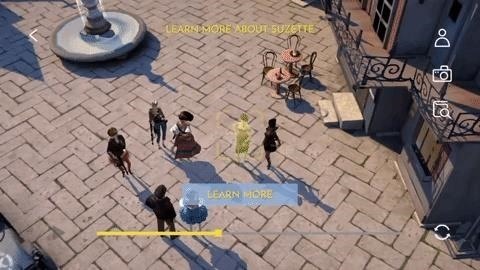 The app delivers a 3D model of a town square and a posse of animated figures, which explains why the experience weighs in at a fairly hefty 685.9 MB on iOS and 504 MB (after downloading additional content) on Android. But your patience will be rewarded. But the ambition behind the Marwen app almost outweighs its massive download size. While movies like Transformers: The Last Knight and Rampage have also released AR apps as marketing support, most studios are satisfied with a Snapchat Lens or a Facebook AR experience. But in this case, the app's AR experience exhibits a uniquely creative approach that ultimately matches the theme and aesthetic of the movie and its subject matter.